NEAF has always been a great show for us. It’s a wonderful chance for people to get their hands on our equipment and really see and feel the care and quality we put into our products. 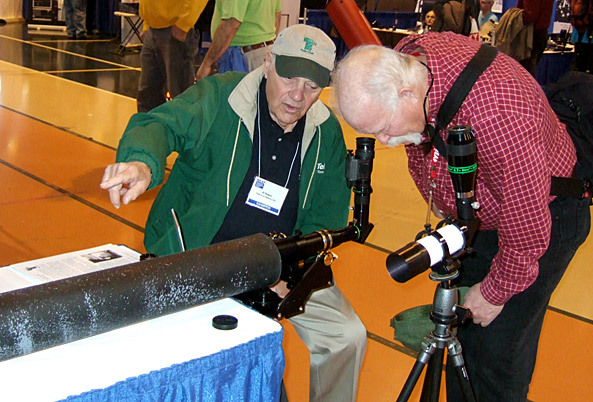 While five of us were constantly busy showing scopes, making eyepiece recommendations, and enjoying talking amateur astronomy, no one was busier than my father. He was giving show-goers a glimpse of what our eyepieces, adapted to night vision, could do. Tele Vue’s pseudo “star field” as a test target. The challenge was how to demonstrate “night vision” during the day and give a sense of what we’ve experienced in the field. For years we’ve been using our pseudo “star field” as a test target. 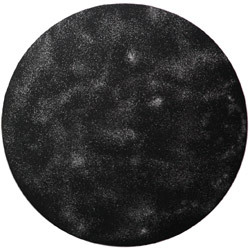 It’s a black painted board with aluminum filings sprinkled on it which glistens with tiny stars when observed through a scope. For the demonstration, we made a 5″ version and pasted it to the end of a long tube. Slits were cut in the tube to allow in ambient light and the amount of light was controlled by sliding one of our telescope dew shields over the slits. A Tele Vue-60 was stuck into the tube to view the “star field.” It worked wonderfully. 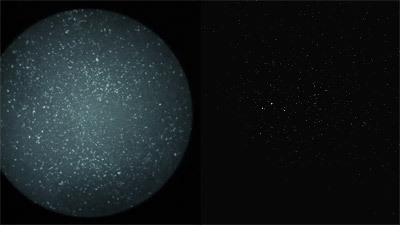 “Star Field” with night vision on (left) and off (right). The naked-eye view through the Tele Vue-60 and 32mm Plössl combination (12x and 5.3mm exit pupil) just barely hinted at the star field if you shielded out all extraneous overhead light and allowed your eye to dark adapt. Attaching the night vision device to the eyepiece, you were able to easily see the spray of “stars” across the field. It was purely a demonstration to show the effectiveness of the light amplification and usefulness of the gain control to allow each user to tune the image to one’s own aesthetic liking. You could tune the background to black, eliminate the scintillation effect seen at higher gain settings, and still see the stars clearly visible compared with unaided vision. NEAF 2017: the odd-looking night vision demo drew a lot of attention. Judging by the number of “wows” and pages of e-mail addresses collected, the NEAF night vision demonstration was a promising start to what appears to be a wonderfully versatile observing tool. Check out our Tele Vue schedule (mobile version) to see where we’ll be showing the unit under the stars. What we have done is to create a simple method of feeding a telescope image into a standard PVS-14 Night Vision device. In order to better understand the benefits as an integrated system, it is helpful to first understand the PVS-14 optical system by itself. A 1x night vision monocular uses an image intensifier and built-in fiber optics image erector. In effect, its 26mm focal length objective collects a 40° true field diameter which forms the image on the 18mm diameter sensor surface. The intensified 18mm surface is viewed with a 26mm focal length eyepiece to recreate the 40° field at your eye. 1) Prime Focus Method – Removing the objective from a night vision unit and coupling the remaining “intensified” portion as the “eyepiece” to your telescope, allows placing the night vision’s 18mm sensor surface (acting as the field stop) at the telescope’s focal surface. You, therefore, have a true field of 18mm/Telescope Focal Length X 57.2°. For example, a 1,000mm focal length telescope then gives 18/1000 x 57.3° = 1.03° true field of view. Since the night vision eyepiece = 26mm focal length, your telescope’s magnification = 1,000/26 = 38.5x. Therefore, you effectively have a 40° apparent field viewing a 1.03° true field at 38.5x night vision enhanced telescope system. To gain higher power, you can add Barlow or Powermate lenses to the telescope, for example, 2x would yield roughly 80x with a 0.5° TFoV or 4x yields about 160x with a 0.25° TFoV. Additionally, a benefit for fast obstructed systems such as Newtonians is that central obscurations have no effect in the Afocal configuration. You may achieve even larger true fields than possible with a fast Dobsonian/Newtonian visually. For example, if your 1,000mm scope is f/3, you cannot use the 55mm Plössl because it yields an 18mm exit pupil which delivers a deadly 6mm diameter “black hole” in the visual pupil when the scope has a 30% central obstruction from the secondary mirror (4mm “black hole” with a 22% obstruction). Visually, that 2° field requires a 21mm Ethos to give an acceptable 7mm exit pupil and 48x magnification. Attaching a night vision monocular such as the PVS-14 to your telescope’s eyepiece is a simple and more versatile solution than prime focus attachment. No change is required to the monocular, allowing normal 1x or optional 3x “magnifier” (itself a Galilean telescope) use. 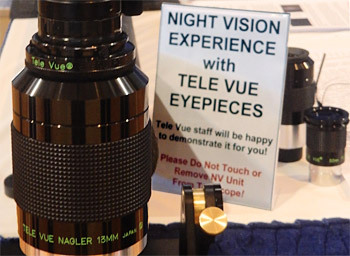 Further, used with long eye-relief Tele Vue eyepieces ranging from 55mm to 3mm focal length allows more magnification and true field options than prime focus and almost instant comparison between normal telescope versus night vision enhanced views. 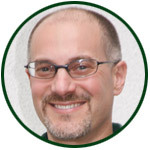 (See separate list for eyepiece recommendations) Further, because the central obscuration in fast reflectors is not seen, wider true fields can be visible compared to normal visual use or use with intensified eyepiece night vision units not containing an objective. Note, in this application the Tele Vue eyepiece is acting as a relay lens. Its function is to project the exit pupil into the 1x objective of the PVS-14. The apparent field specification of the eyepiece for normal visual-only application does not apply. Video of Orion Nebula though PVS-14: 2017 WSP with Prototype Image Intensifier!